CS3: Curves and Levels, GradientXterminator, selective High Pass on galaxy core and arms, color enhancement of a and b channels in Lab space, noise reduction with Noiseware Professional. The steady air conditions made good tracking possible. 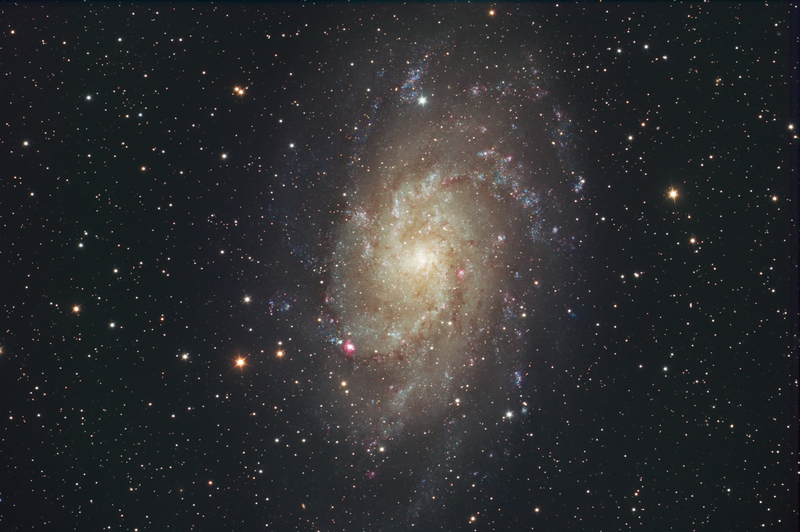 Even if M33 was relatively low the final result is OK for a test image.